When would you like to stay at Point Hotel Barbaros - Check Availability & Room Rates!!! 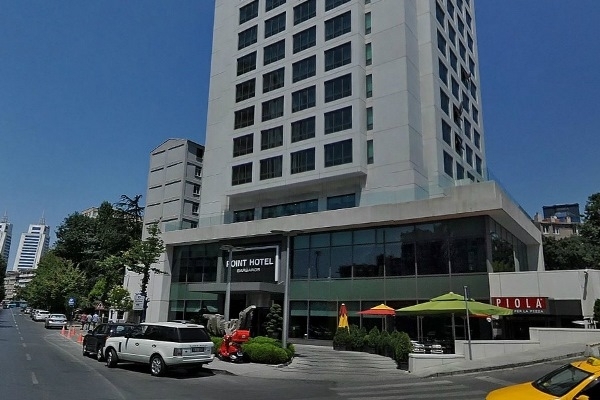 Point Hotel Barbaros has 202 bedrooms with Bosphorus view and city panaroma. 62 executive rooms, 12 executive suites, 42 non-smoking rooms. 2 rooms with facilities for disabled. Point Hotel barboras has in each rooms: 40 inch Sony LCD Full HD television. Free Wi-Fi, Playstation 3 and Nintendo Wii, Direct phone, minibar, safe box(Size for laptop), kettle, central airconditioning. Italian Cuisine Restaurant -Piola Restaurant- and international Cuisine Restaurants. Also Point Hotel Barbaros includes: swimming pool, 1 jaccuzi, 1 Turkish bath, 2 massage rooms, 1 bath, seperate dressing rooms with lockers for ladies and gentlemens. How far and How long will it take from/to the Point Hotel Barbaros Istanbul from/to International Airports and cruise Ports. Ataturk Airport-Lost and Found How to meet at Sabiha Airport Istanbul Airport Shuttle How to get from Sabiha Gokcen Airport to the city? Sabiha Gokcen Airport-Lost and Found What time should I leave my hotel to catch a flight in Sabiha airport? What time should I leave my hotel to catch a flight in Ataturk airport? How to get from cruise ports to the city? How to meet at Ataturk airport How to get from Ataturk airport to the city?